Pardon of Criminal Records in Maryland! - Xpunge Me! What is a Pardon in Maryland? A pardon petition can be used to obtain relief from the debilitating effects of a criminal conviction even if the offense does not qualify for an expungement. If granted this does not seal records from public view (that power is reserved for the Court and not the Governor), however, a full and unconditional pardon may be used as a grounds for expungement in some cases. Xpunge Me! can help you by filing your petition on your behalf. An offense may be fully and unconditionally pardoned or partially reduced, or not fully and conditionally pardoned (clemency). 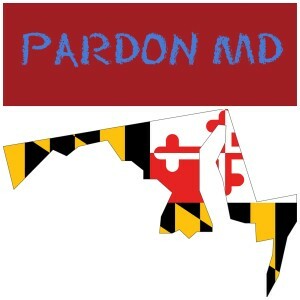 Pardon MD, Free Pardon Petition Consultation! The source of the Governor’s power is the Maryland State Constitution. Many of the rules are found in the Maryland code, particularly Md. CORRECTIONAL SERVICES Code Ann. § 7-601 – 603. Misdemeanor offenders must be crime free for 5 years. Generally felony offenders must be crime free for 10 years, some times 7. Violent crime or controlled distributed substance felony offenders must be crime free for 20 years, sometimes 15. The effect of the pardon on the victim of the offense (if there was one and the communit;. The reason a relief is needed. Contact B. Xavier Pendergraft Esq. of Xpunge Me! and he will assess whether or not your case is a good candidate for an expungement or forgiveness free of charge. Text 301-200-0777 or e-mail [email protected] for a free consultation!